When off-roading in or around Atlanta, having traction is important when it comes to conquering any type of Georgia terrain. The 2019 Cherokee lineup at Atlanta West Chrysler Dodge Jeep Ram offers three available Active Drive 4×4 systems that can help ensure the right tire will always have traction. With their impressive capability and three innovative available 4×4 systems, the 2019 Jeep Cherokee is always ready to do some adventuring. Cherokee receives a fresh perspective on its timeless exterior appearance for model year 2019, including a a completely redesigned tailgate to go along with a boldly revised front end. 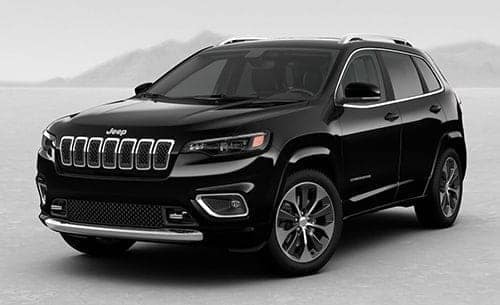 New premium LED headlamps and fog lamps are combined with daytime running lamps and a refreshed seven-slot grille and fascia to give the 2019 Cherokee models at Atlanta West Chrysler Dodge Jeep Ram an appearance that’s hard to miss at any Atlanta, Georgia event. Know that you’ll always be looking good, both coming and going, when you’re in a 2019 Jeep Cherokee. Their redesigned tail lamps have received a revamp and distinctive new look for model year 2019, so now your exits can be equally as impressive as your arrivals. 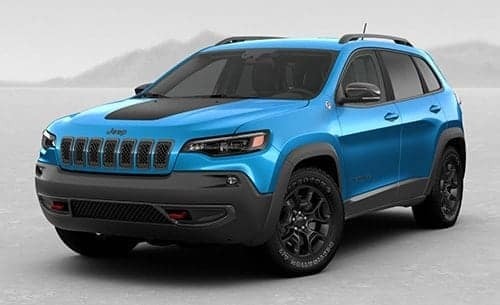 The license plate area of the 2019 Jeep Cherokee was moved to the center of the liftgate to provide a more streamlined exterior appearance. There’s also a hands-free power liftgate that’s foot activated, which helps to make both loading and unloading a breeze. Wherever in Atlanta you’re wanting to explore, the 2019 Jeep Cherokee can help get you there in exceptional style and comfort. 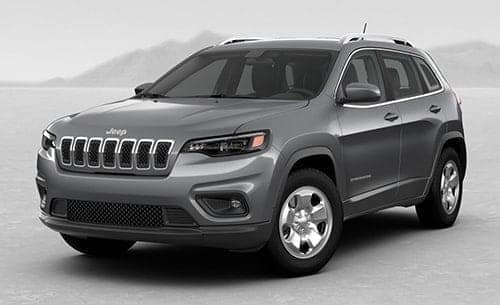 Enjoy soft Nappa leather-trimmed seating, driver-friendly technologies, numerous interior configurations and improved storage options, in what is a more convenient and comfortable Cherokee cabin area. Jeep Cherokee’s interior is loaded with an abundance of refinement as well, from the biggest details down to the smallest. Striking chrome metal accents enhance their interiors while an available heated leather-wrapped steering wheel can come in handy during the frigid Georgia winter months. 2019 Jeep Cherokee models at Atlanta West Chrysler Dodge Jeep Ram feature an available Driver Information Digital Cluster Display that’s fully customizable, which allows owners to match their own unique tastes while also providing an easy-to-read screen to view. Owners of a 2019 Jeep Cherokee can easily scroll through the user-friendly interface and graphics with only the touch of a button on the steering wheel, allowing them to remain focused on the roads ahead. Atlanta West Chrysler Dodge Jeep Ram serves customers from Atlanta, Lithia Springs, Douglasville and all of the surrounding communities, helping them find the new 2019 Cherokee that best suits both their lifestyle and budget. We’re proud of the premium level of customer service that our sales team is known for providing, and we do everything in our power to ensure that each person entering our dealership leaves satisfied. When you’re ready to purchase your new 2019 Jeep Cherokee, come by 1251 Thornton Rd. in Lithia Springs, Georgia and speak with any of our friendly and knowledgeable sales personnel.